OMAHA, NE – No tickets, no problem. 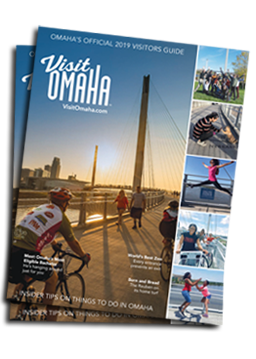 The Omaha Convention and Visitors Bureau (OCVB) is providing you with a front row seat to all of the U.S. Olympic Swim Trials action – for free. A giant 26 x 14 ft. LED screen will be installed at the Gene Leahy Mall on Thursday, June 23rd and will broadcast the entire competition live beginning Sunday, June 26th through the finale on Sunday, July 3rd. Everyone will have the opportunity to make it onto the big screen. In addition to broadcasting the Olympic Swim Trials, the screen will show Twitter and Instagram posts from anyone using the social media platforms in and around CenturyLink Center Omaha, TD Ameritrade Park, the Old Market and other areas throughout the city. The posts will be monitored and filtered prior to appearing on the screen. “It will be fun to see how the athletes, coaches, out-of-town fans and locals share our city with their friends and family across the country,” Backsen added. The big screen will be located near the arch by the slides in the Gene Leahy Mall. The Omaha Fire Department will be filling the ballast tanks that will anchor the big screen at approximately 3 p.m. on Thursday, June 23rd.